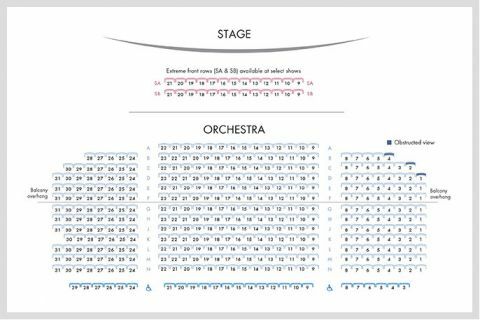 Tickets sold through the Grand Theatre box office can be purchased online, by phone, or in person at the Grand Theatre Box Office. 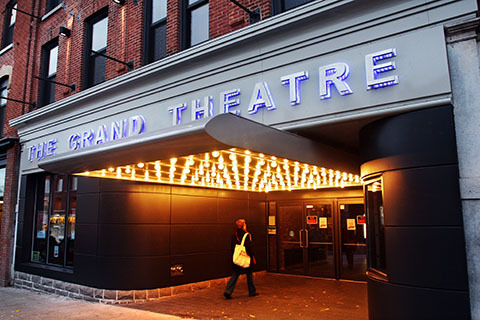 The Grand Theatre sells tickets to many different performances – including shows in Grand OnStage, rental shows at the Grand Theatre, and performances taking place offsite at other theatres and venues. Subscribers have freedom to choose and be creative by designing their own entertainment package with the Pick 4 or More shows option. 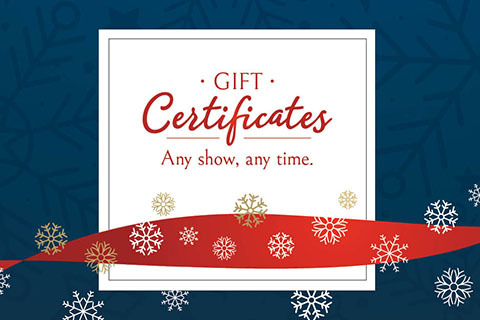 Grand Theatre gift certificates can be purchased in-person or online in any amount and never expire. 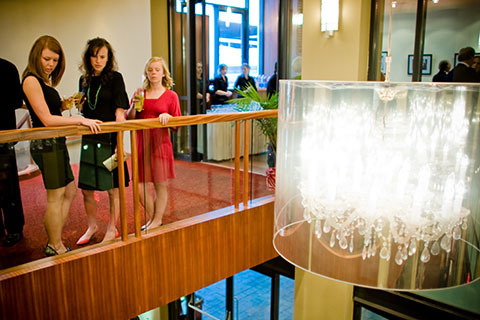 As a incentive for employees, or a night out for your club, a group outing to a performance is an experience that will build camaraderie. 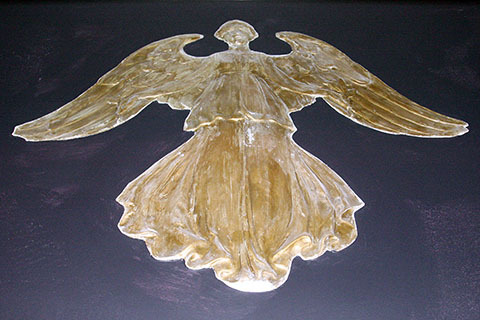 The Grand Theatre aims to inspire and spark creative curiosity for all members of the community. 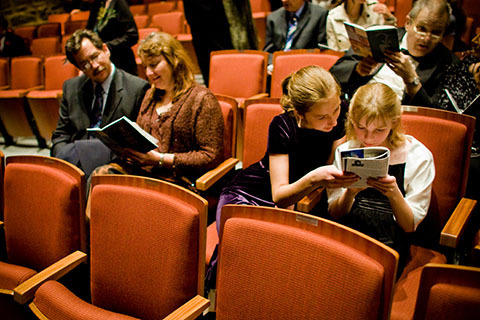 To continue making the arts accessible to everyone, we are proud to offer a variety of discount programs. Every person attending a performance at the Grand Theatre must have a ticket in order to be admitted, due to fire code regulations. 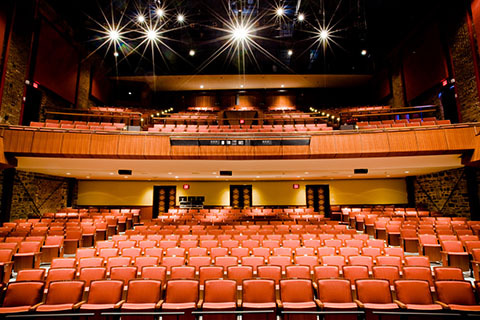 The Regina Rosen Auditorium can accommodate approximately 776 patrons in the orchestra and balcony level. 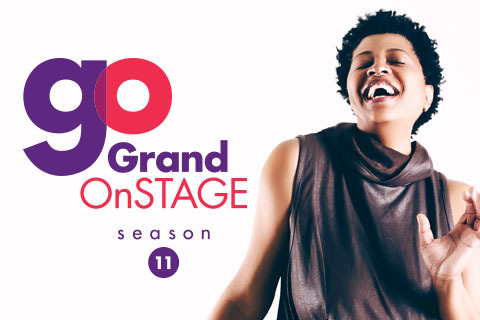 Charity vouchers are available as of September 1, 2019 for the 2019-20 Grand OnStage season.